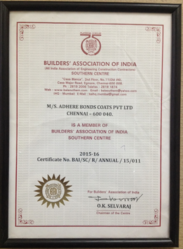 "Adhere Bonds Coats Pvt Ltd" a Company established more than a decade back in Chennai with a mission to manufacturing advance Construction Chemicals and Decorative Coatings having a Proven track record with unmatchable uniqueness of its own our range of products, adhering to global standards. 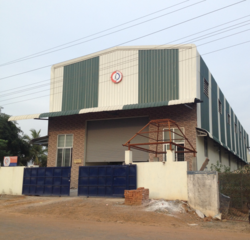 The focus of the company from inception has been to deliver high quality construction chemical products and services at competitive pricing. The idea was to not only provide cost effective solutions to multinationals but also to SME’s and the middle-class consumer. We have a long list of Clientele both in Private & Public Sector. 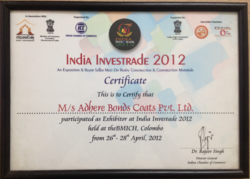 Adhere Bonds Coats Pvt. Ltd. engaged in Manufacturing and Supplying World class Quality Construction Chemicals as per international standards under strict quality Control Producing. 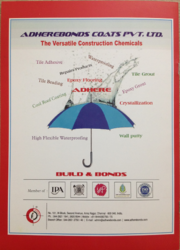 Water Proofing : Crystallisation, Membrane, Admixture. Tile Adhesive : General Purpose, Tile On Tile, White Adhesive. Tile Grouts : Polymer Grouts, Epoxy Grouts, Grouts Modifier. 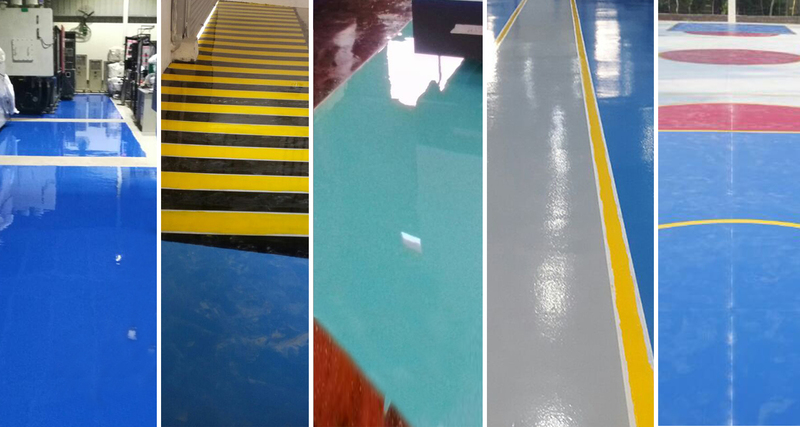 Epoxys : Epoxy Flooring, High Build Coating, Screed. Grouts : Admixtures, Non - Shrink Grouts, Anchor Grouts. 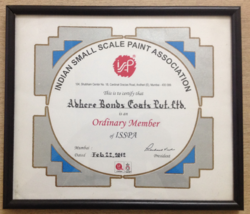 We Have the memberships & Affiliations. 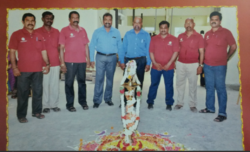 We have carved a niche for ourselves in the industry with rich industry experience and meticulous performance of our teammates. To provide optimum satisfaction to our clients, they have adopted client centric approach and for that purpose they work in close collaboration with each other. Further, to make them abreast about the resent developments in the domain, we conduct regular training sessions and seminars.